This is a very popular dish in Chinese cuisine. This hot and sour eggplant is an easy and delicious dish with very few ingredients that are already available in your pantry. 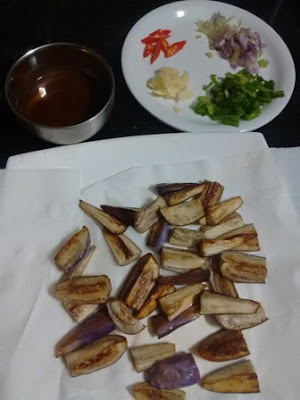 The Chinese eggplant has thinner skins and few seeds, but I have substituted it with the small purple Indian brinjals.Chinese Hot and Sour Eggplant is a popular aromatic and delicious dish. 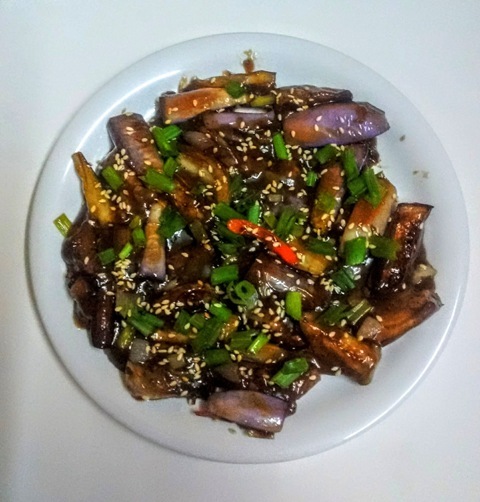 You can try making this amazing Chinese Hot and Sour Eggplant in your kitchen. This recipe requires 10 minutes for preparation and 10 minutes to cook. Now let's see how to prepare this dish with step by step photos. Chinese Hot and Sour Eggplant - Chinese Hot and Sour Eggplant is a popular aromatic and delicious dish. You can try making this amazing Chinese Hot and Sour Eggplant in your kitchen. Wash and cut the eggplants into small wedges and put them in salted water for 10 minutes. In a bowl mix in the soy sauce, white vinegar, sugar and corn flour. Take a pan and dry roast the white sesame seeds and keep it aside for garnishing. In the same pan add oil to heat. 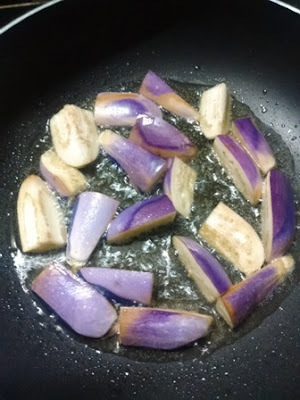 When you see a little smoke coming from the pan, add in the eggplant pieces. Roast it for a minute and slowly flip over each piece. Repeat this process for all the wedges. Then remove the eggplant from the pan and spread it in a plate. In the same pan, add some more oil to heat, then add in the chopped scallions, mashed garlic and red chilli. Stir fry for a minute until it's fragrant. 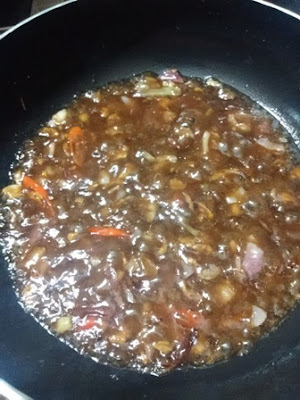 Now add in the soy sauce mixture to the pan and stir it continuously until the sauce has thickened. Add in the required salt, pepper powder and the roasted eggplant to the pan. Toss them quickly in a high flame and transfer it to the serving plate. 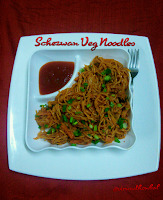 Garnish it with roasted white sesame seeds and chopped green onions on the top. Serve it immediately. Take a pan and dry roast the white sesame seeds and keep it aside for garnishing.In the same pan add oil to heat. When you see a little smoke coming from the pan, add in the eggplant pieces. Roast it for a minute and slowly flip over each piece. Repeat this process for all the wedges. Now add in the soy sauce mixture to the pan and stir it continuously until the sauce has thickened. Add in the required salt, pepper powder and the roasted eggplant to the pan. Toss them quickly in a high flame and transfer it to the serving plate. 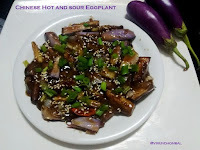 If you try this recipe for Chinese Hot ans Sour Eggplant send us your comments below and share the recipe for your friends and family.